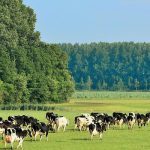 GplusE: Genotype and Environment contributing to the sustainability of dairy cow production systems through the optimal integration of genomic selection and novel management protocols based on the development and exploitation of genomic data and supporting novel phenotyping approaches. GplusE is an FP7 project funded by the European Union. It is a five-year project which began in January 2014 and was executed by 15 research and industry partners. The list of key results will be supplemented as they appear. GplusE final brochure is online! The GplusE final brochure describing the key results obtained by the GplusE project by the end of 2018 is now online and available in the following languages: English, French, German, Dutch, Italian, Danish, Spanish, Swedish, Polish and Czech. Click on the following link to download the different brochures. 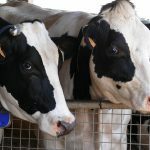 The presentations given in the training schools “New Genomic and management tools for healthier dairy cows” have been video recorded. Please click here to see them on YouTube! Twenty-six trainees from 16 countries in the training school in Madrid! 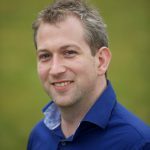 Dr Miel Hostens (Faculty of Veterinary Medicine at Ghent University) will give a talk to show the work of GplusE WP3 “Determination of phenotypic inter-relationships between parametres in predominantly milk and blood with physiological status, health, welfare, fertility, environmental footprint and production in dairy cows” at Zoetis genomics event. The event will be held in Rome on 7-8 November 2018. 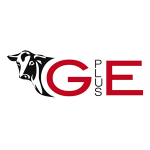 GplusE project training schools: “New genomic and management tools for healthier dairy cows”. The first training school was organised in October in Romania: Read more here. A second instance of the school will be organised in Madrid on 27-29 November. Don’t miss the opportunity to attend this interesting school! Read more here ! This project has received funding from the European Union's Seventh Framework Programme for research, technological development and demonstration under grant agreement n° 613689.